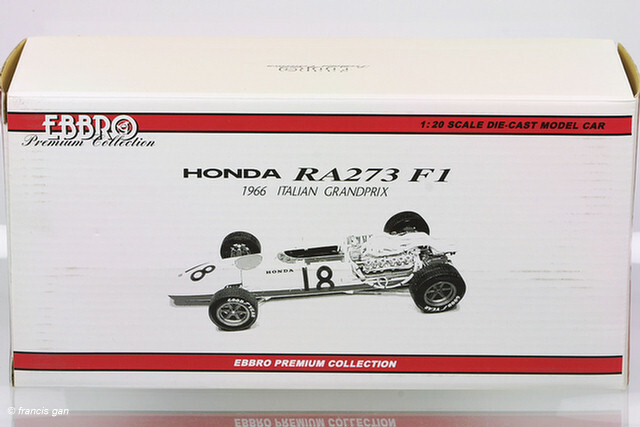 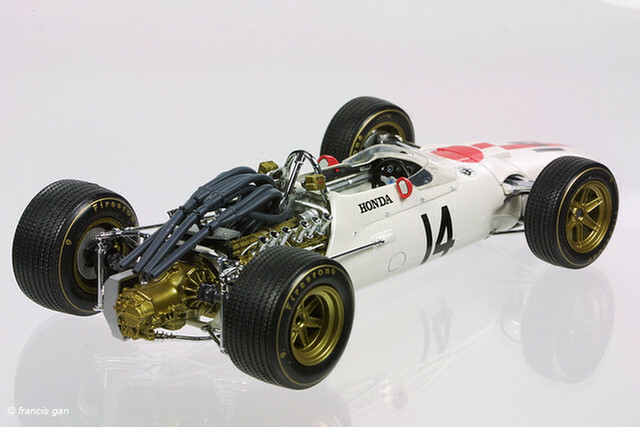 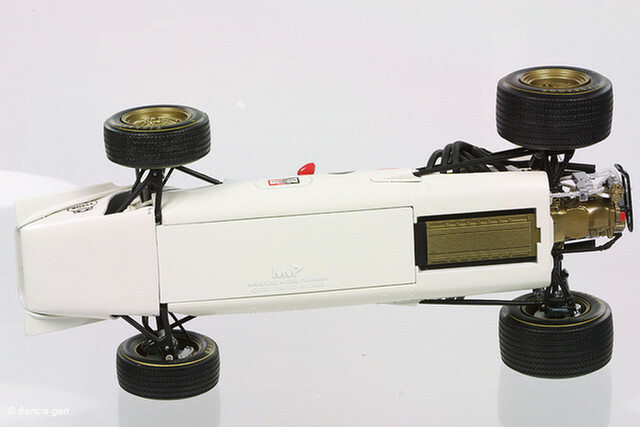 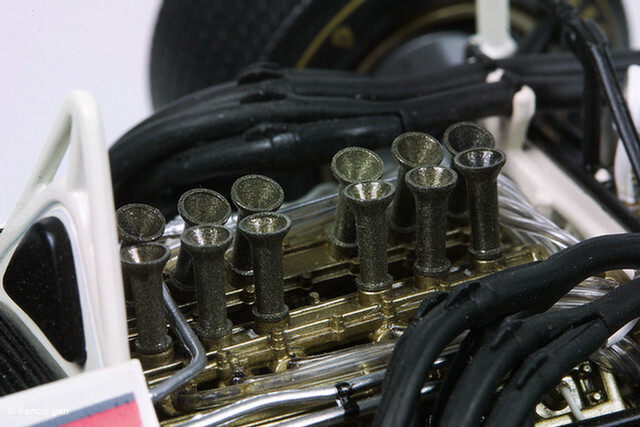 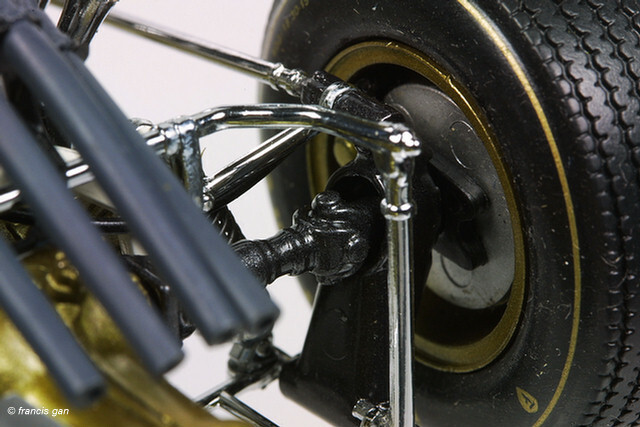 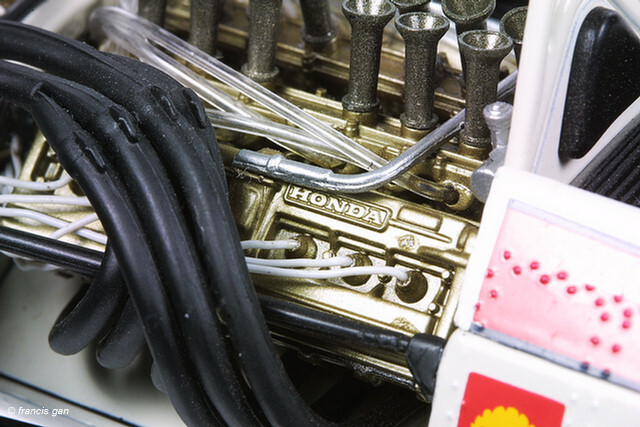 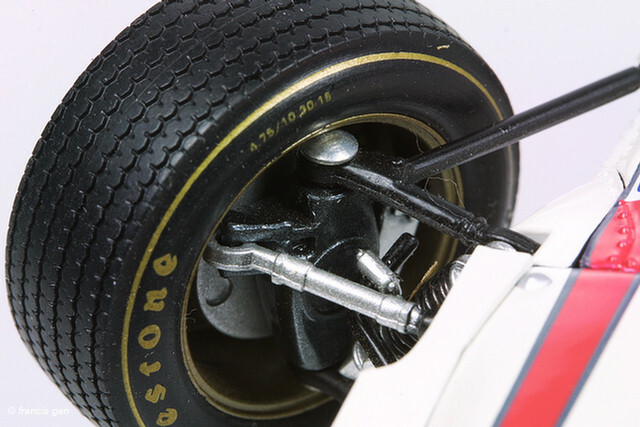 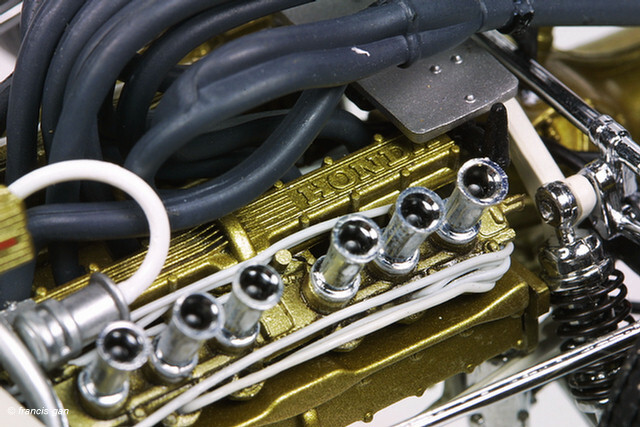 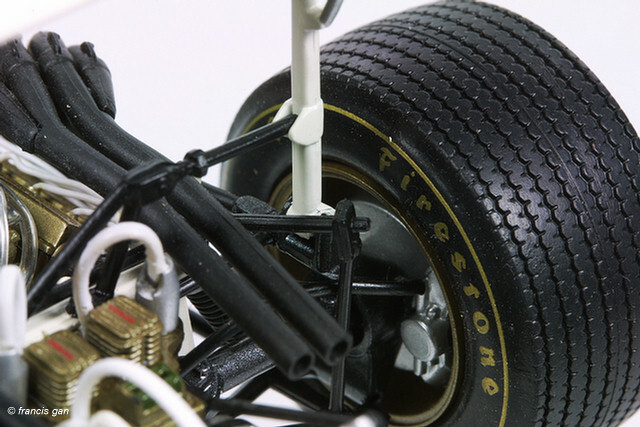 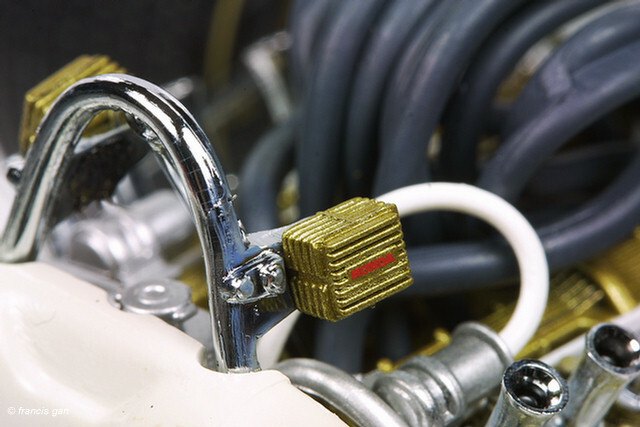 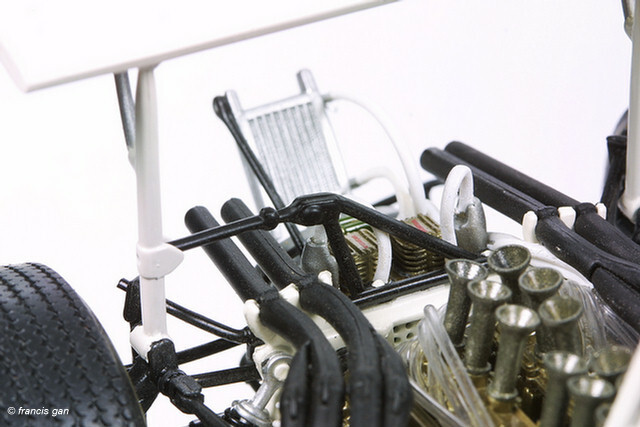 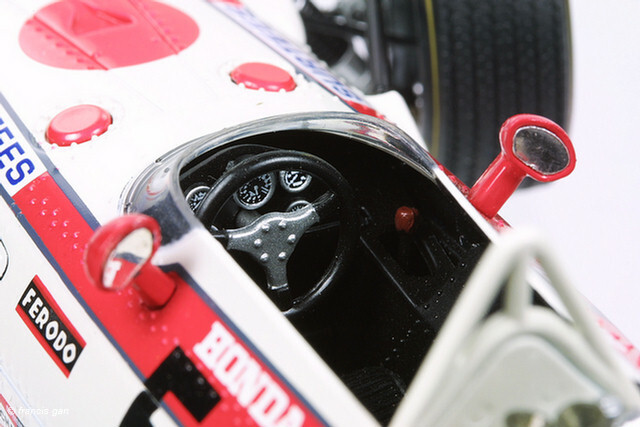 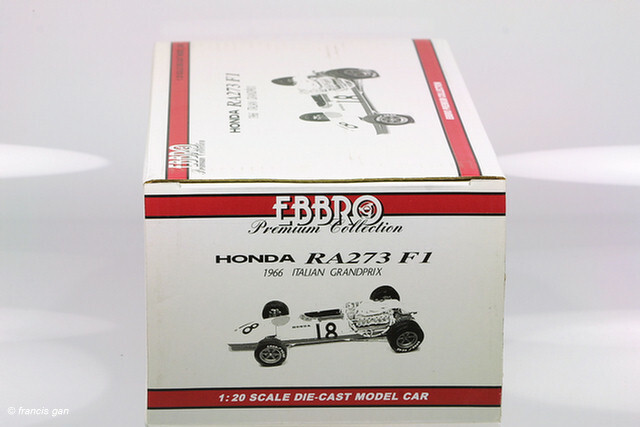 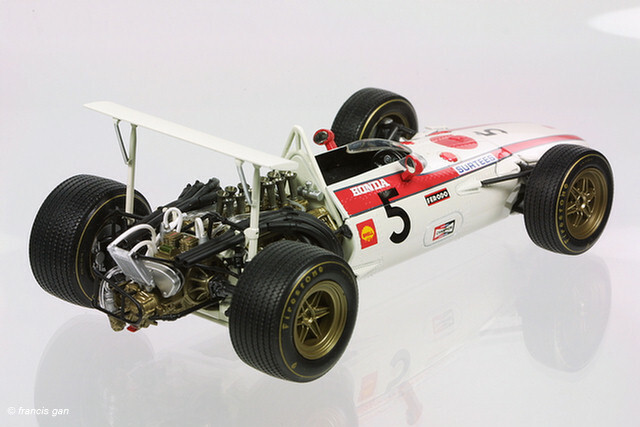 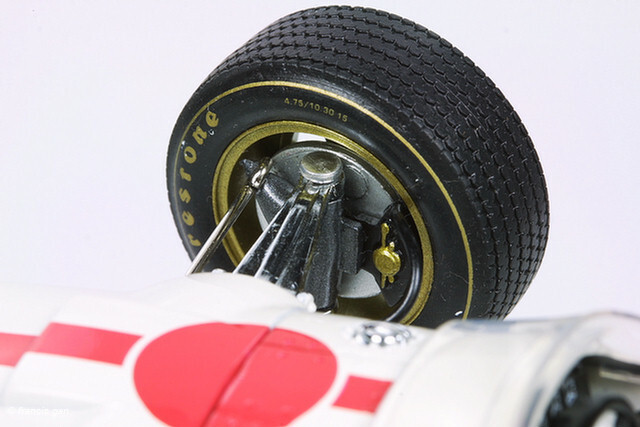 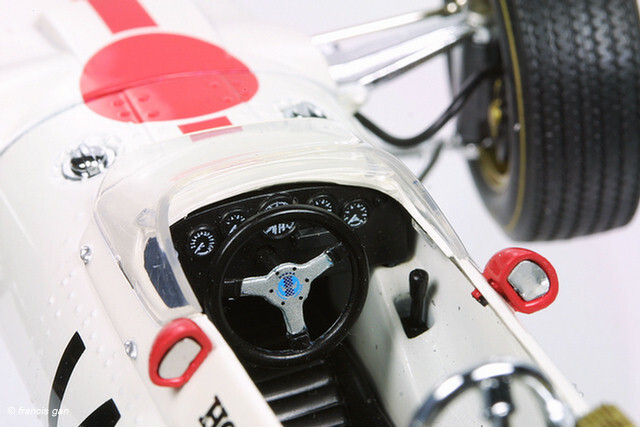 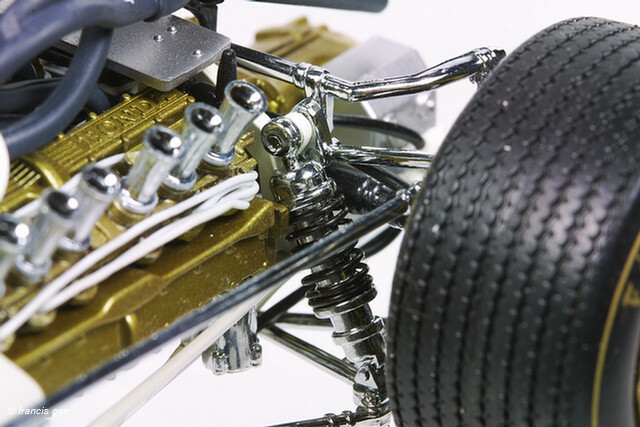 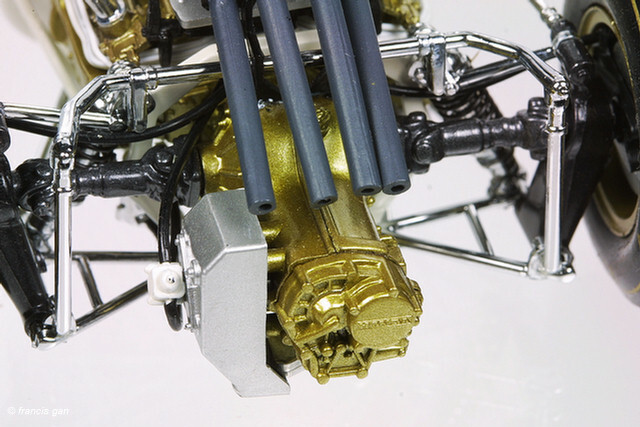 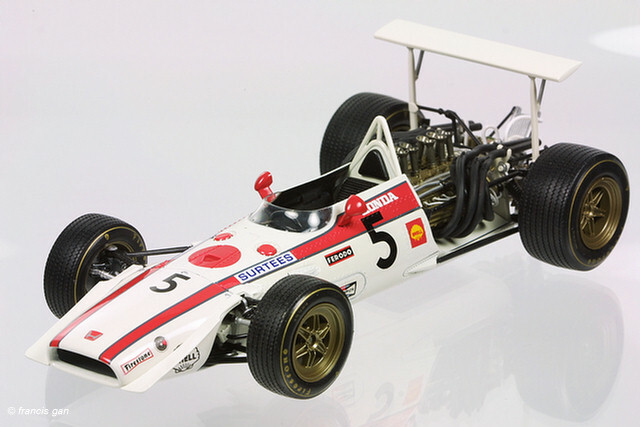 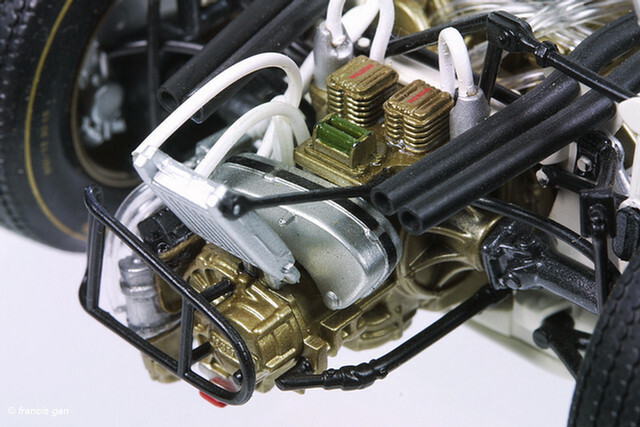 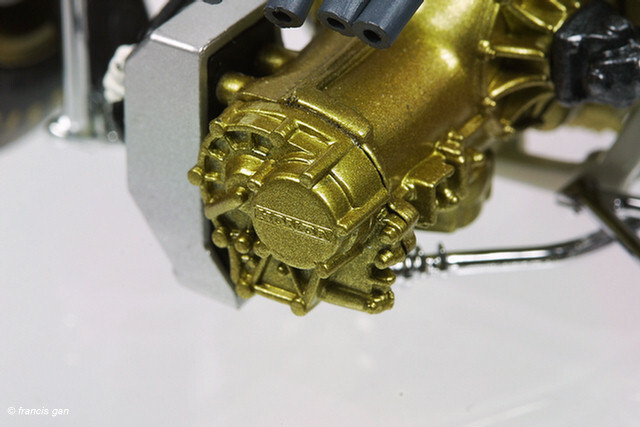 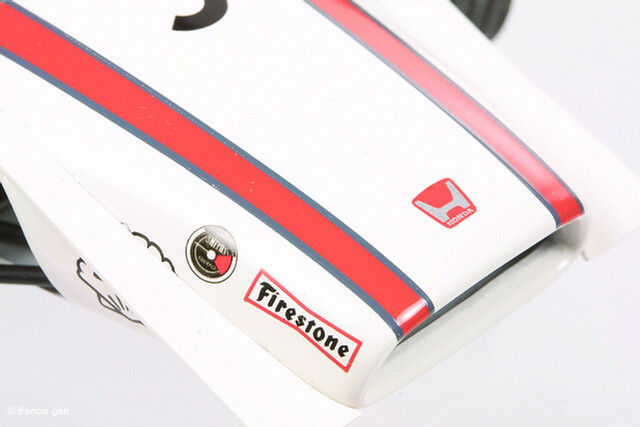 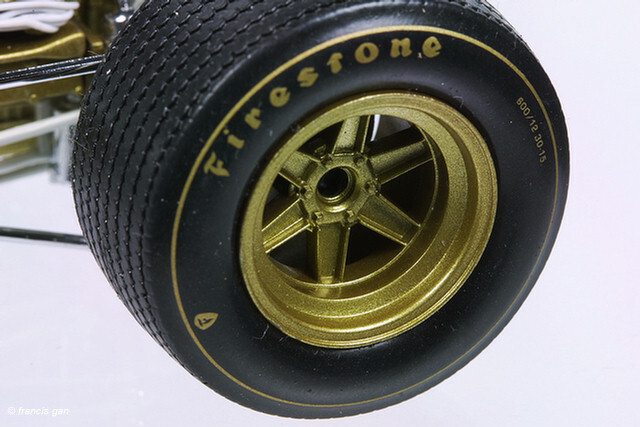 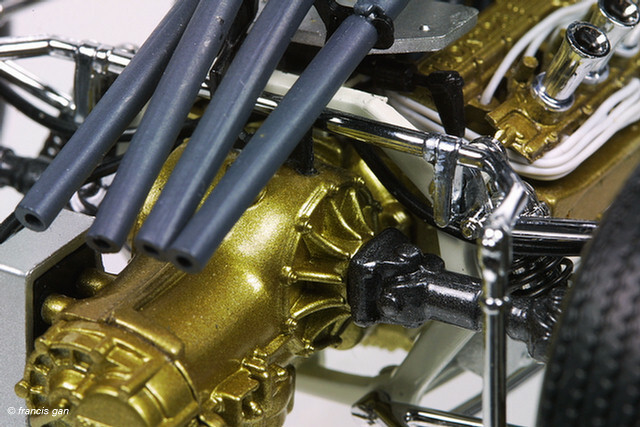 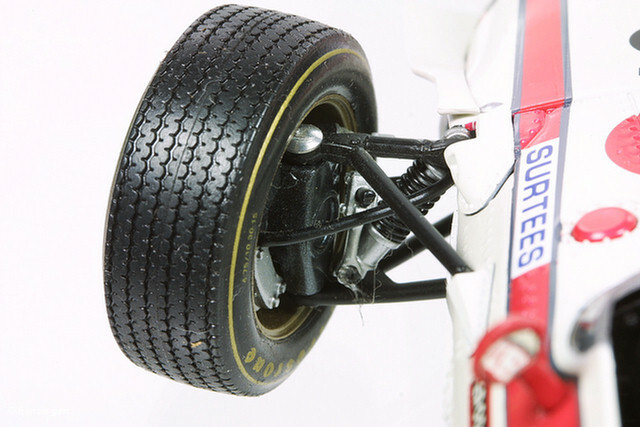 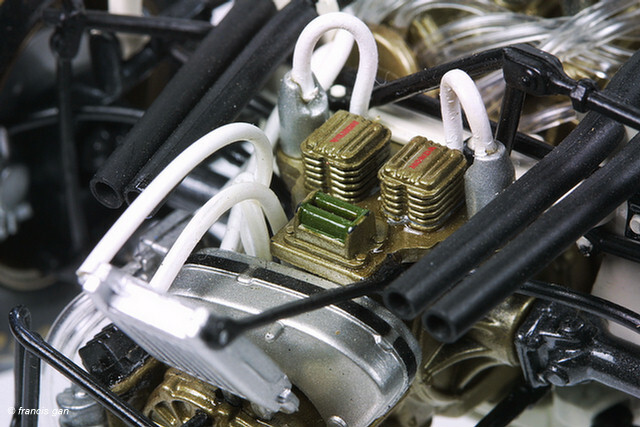 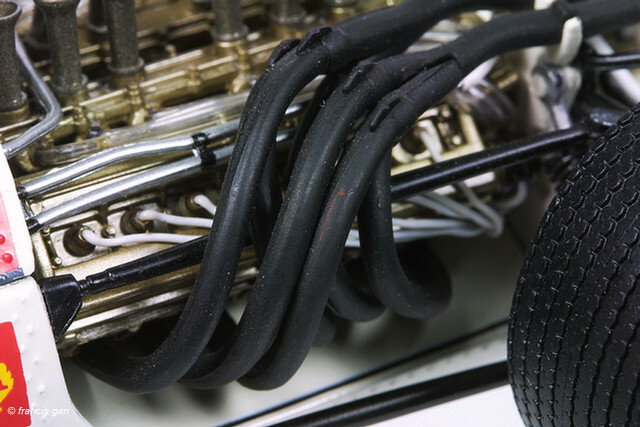 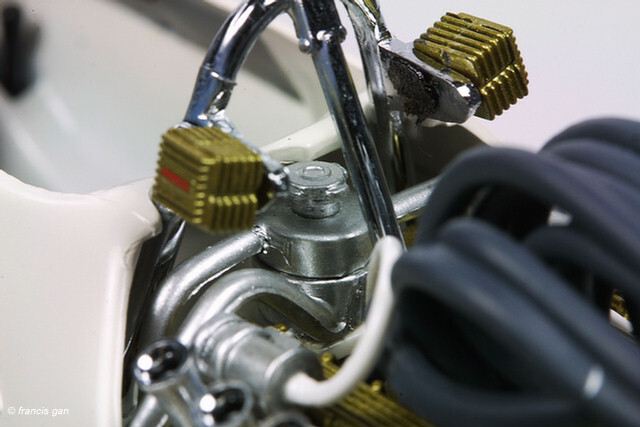 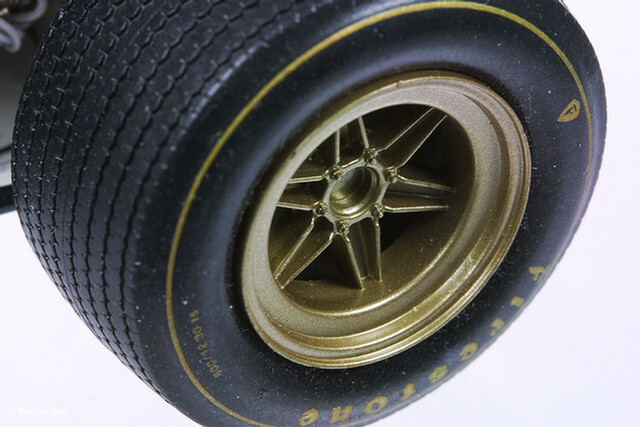 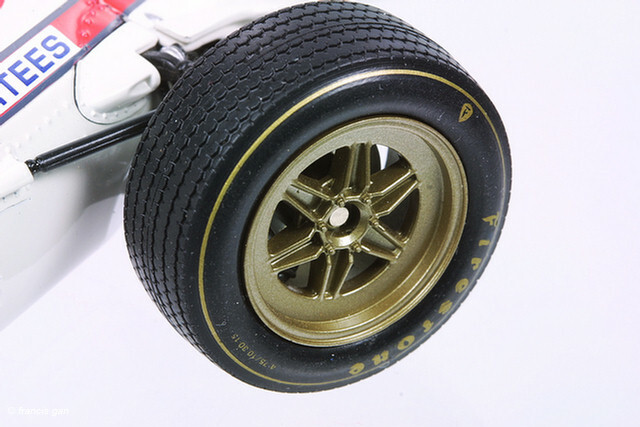 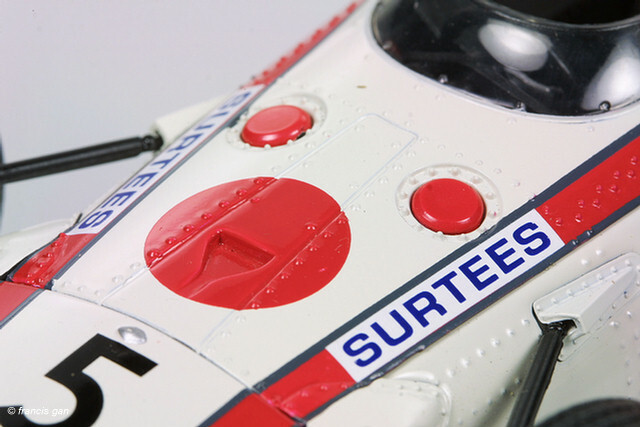 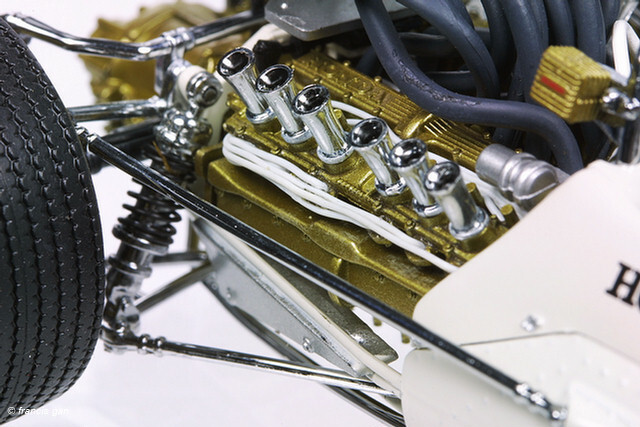 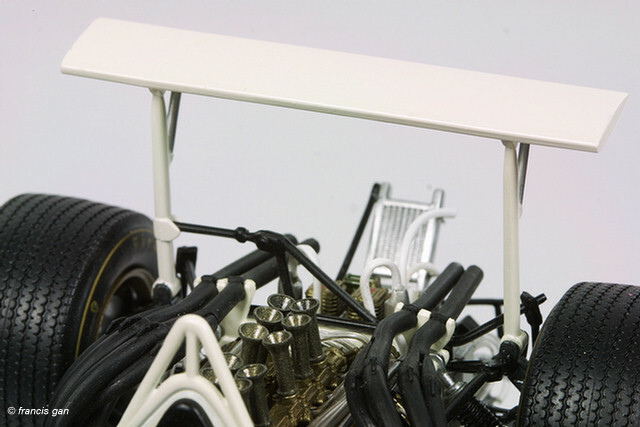 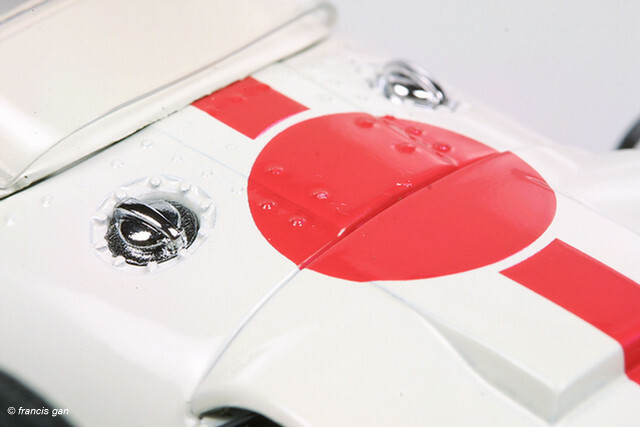 Ebbro has the most detailed renditions of the Honda F1 cars from the 1960's for mass produced models in their 1:20 Collector Series. 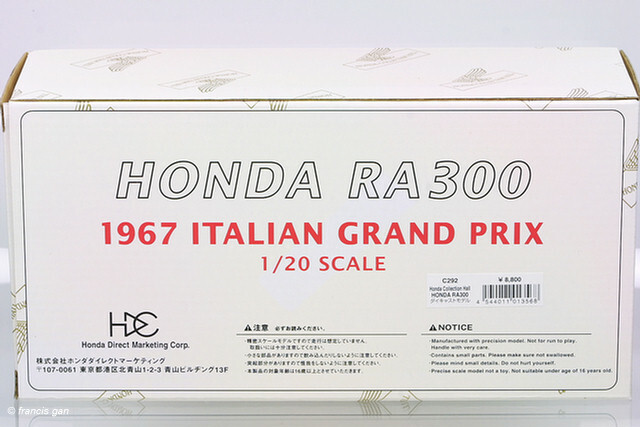 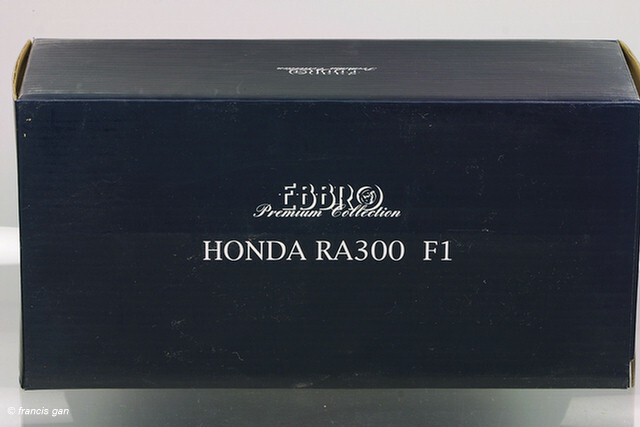 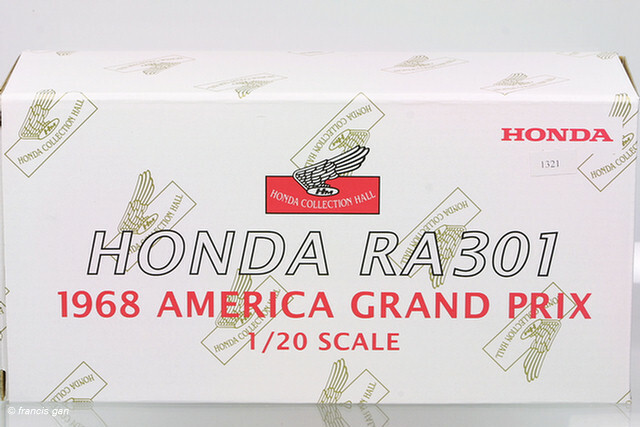 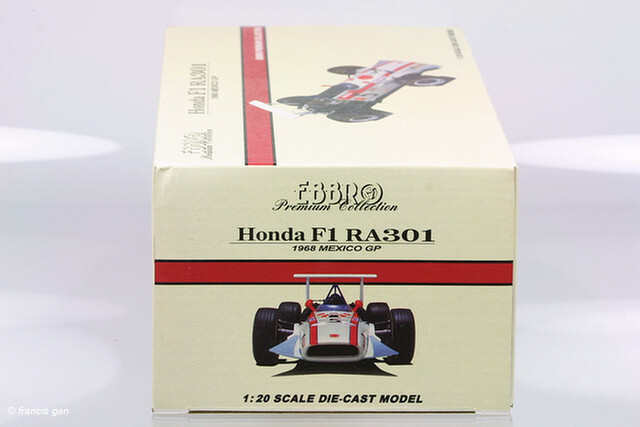 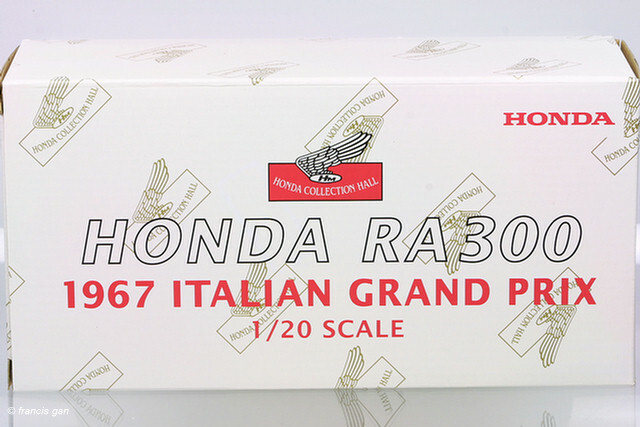 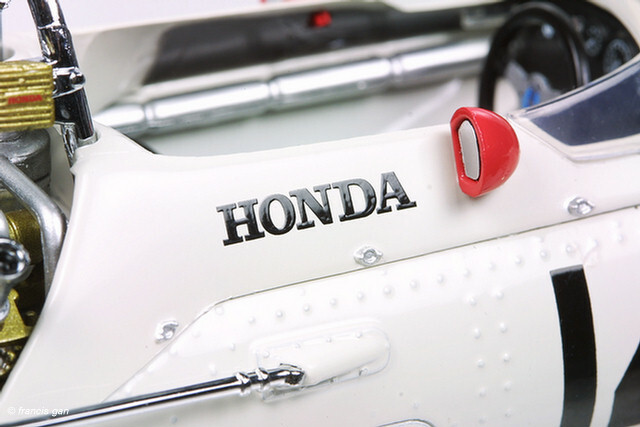 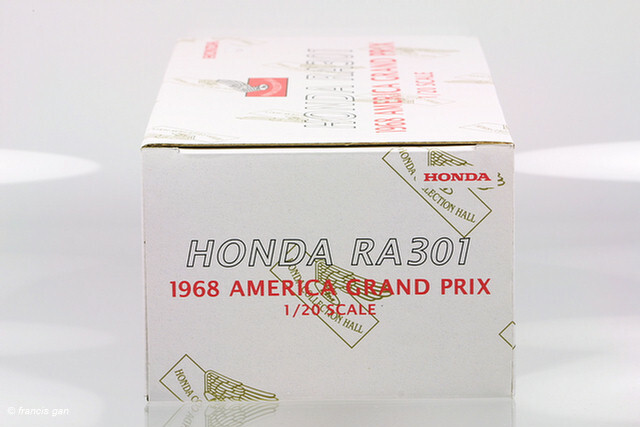 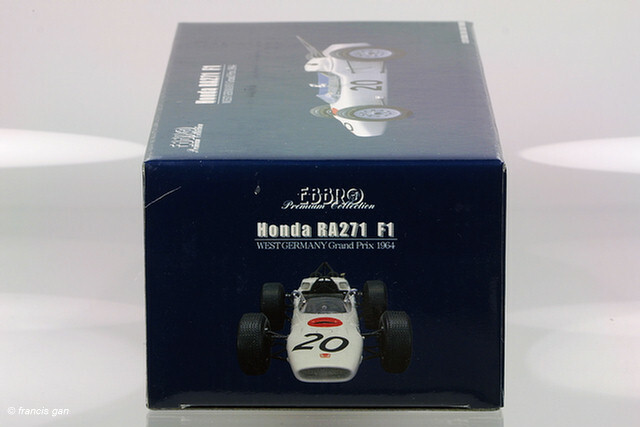 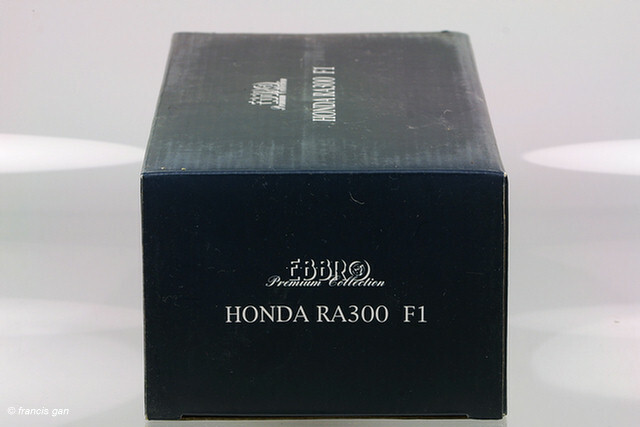 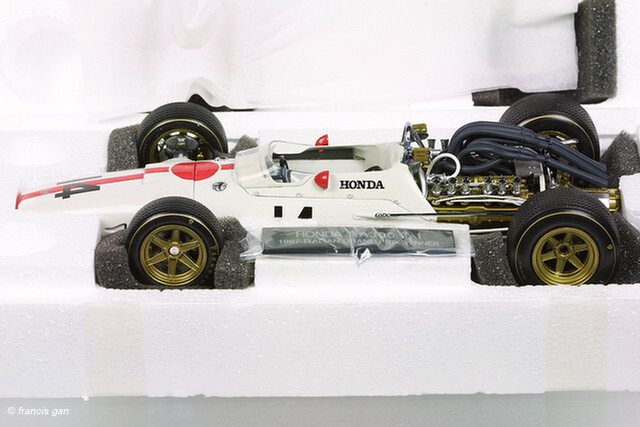 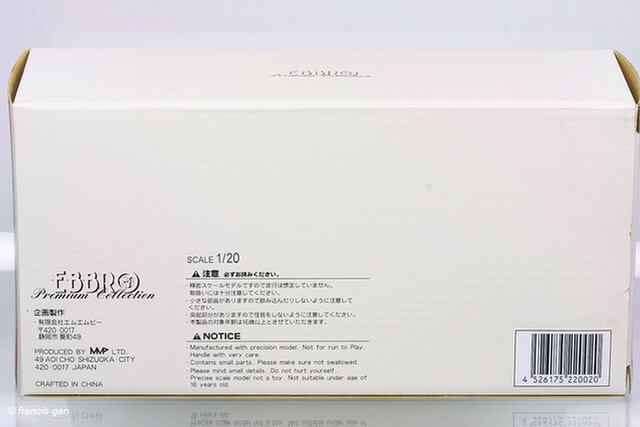 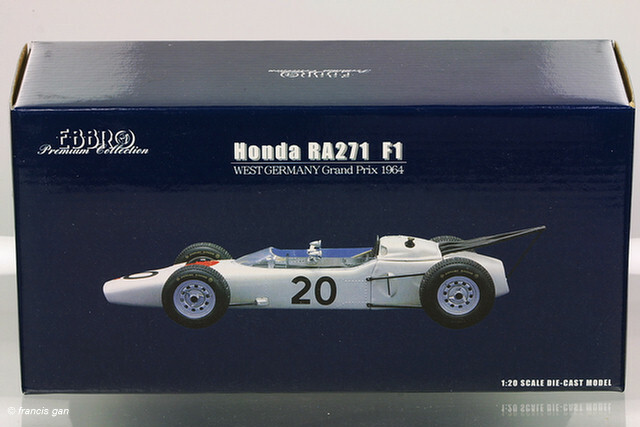 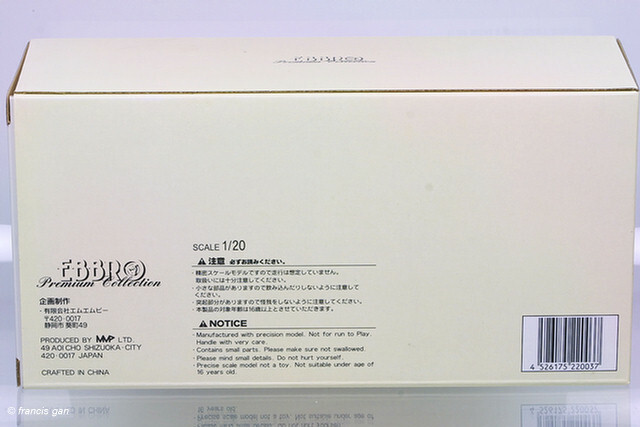 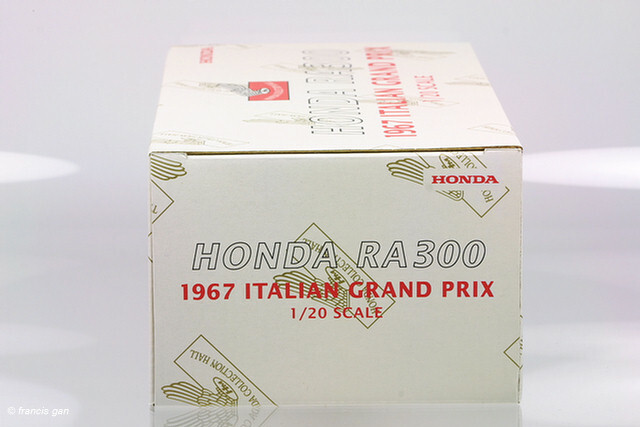 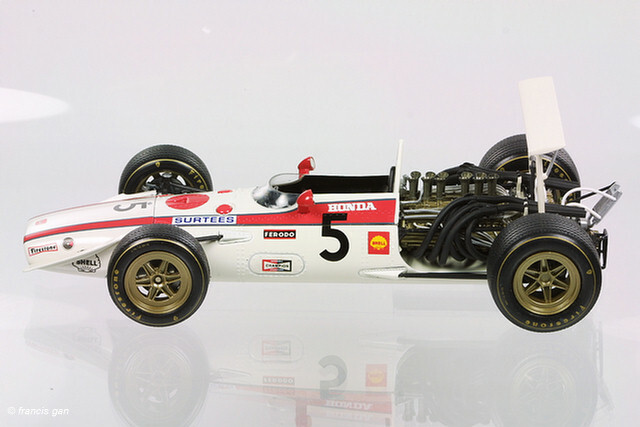 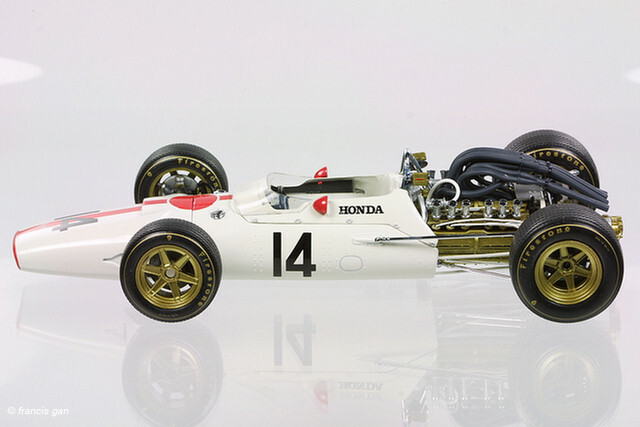 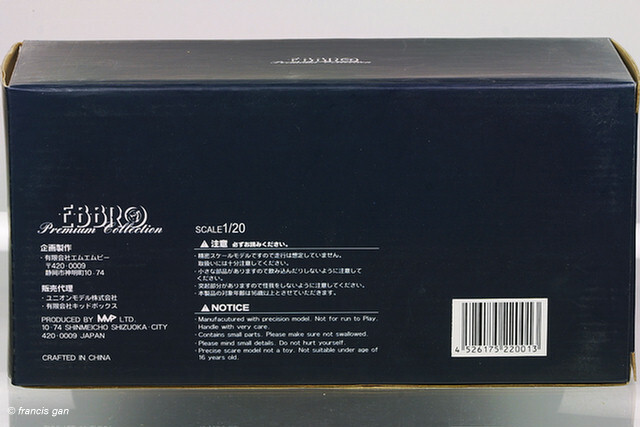 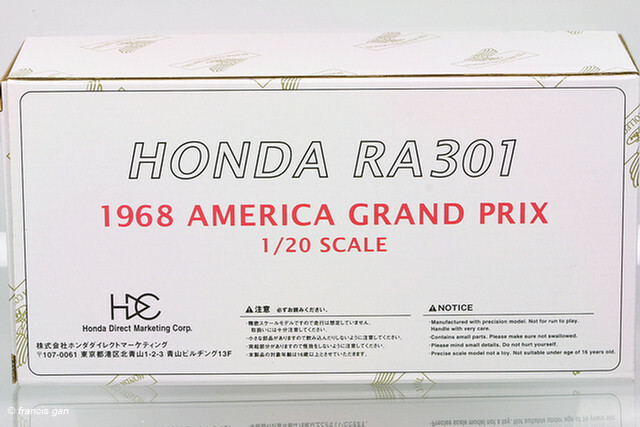 The first models were released in different colored boxes and eventually additional versions/years were introduced boxed in Honda Collection Hall Livery. 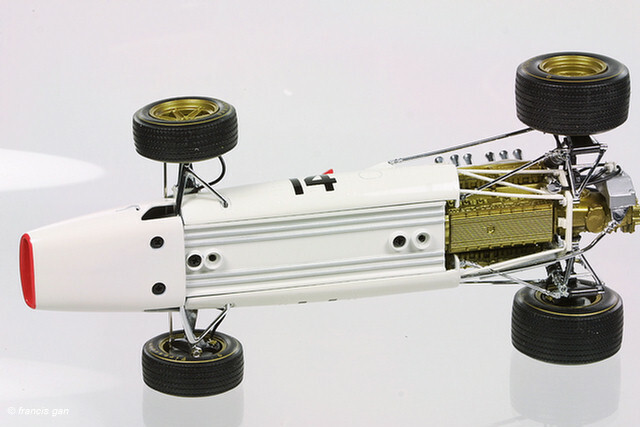 The HCH models turned out to be unique to HCH. 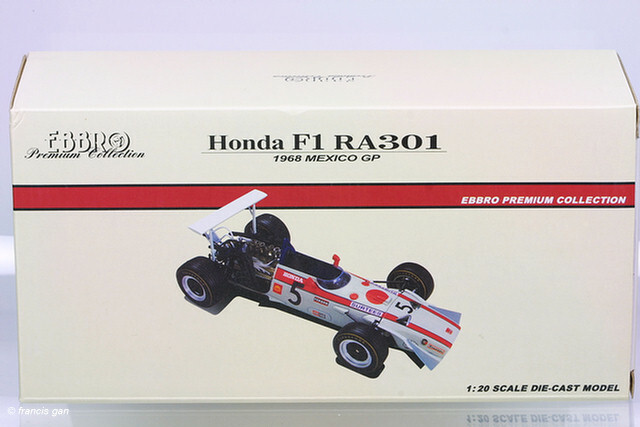 The regular Ebbro version of the RA301 was of the Mexican GP.